2011 marked the final production year for the Ford Crown Victoria. Still equipped with the 4.6 liter V-8, the CVPI will be sorely missed by many in law enforcement. The only notable change for its final year of production was the addition of larger headrests. 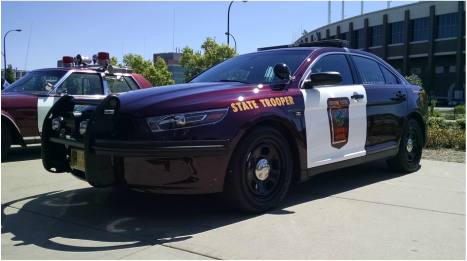 A story about the State Patrol's farewell to the Crown Victoria told as only KARE-11 TV's Boyd Huppert can on The Land of 10,000 Stories aired in April 2012. I'm attempting to obtain a copy of the story and will hopefully be able to repost it soon. 2012 was a transition year. 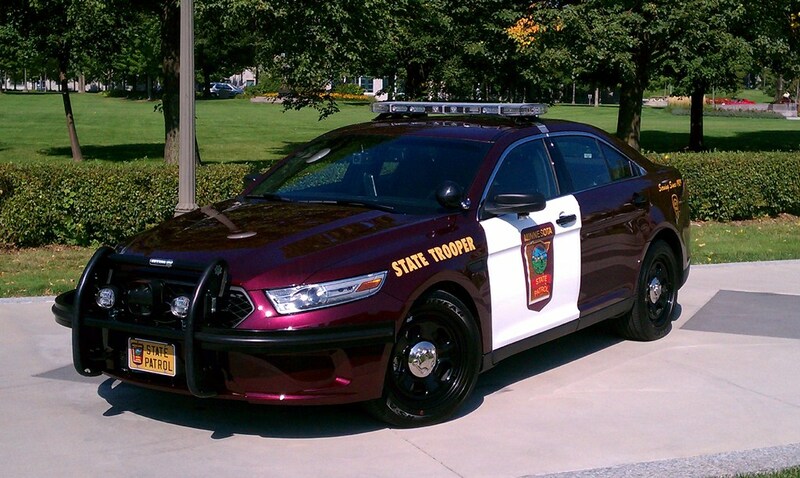 The MSP bought a few extra 2011 Crown Victorias, issuing the last of them in the spring of 2012. 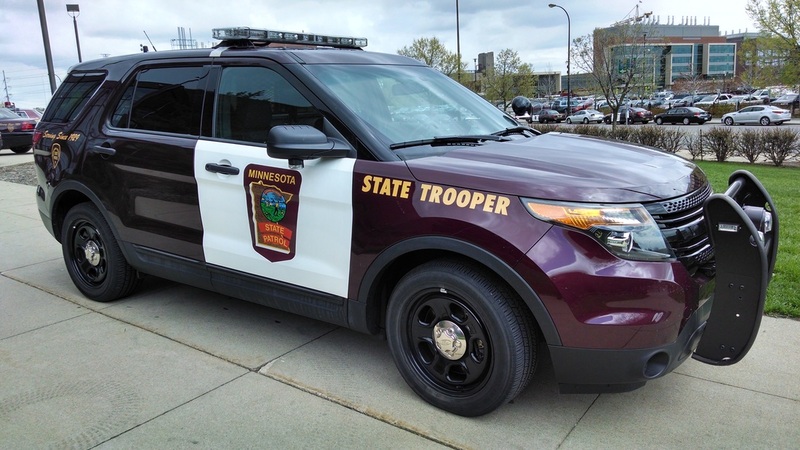 The big hurdle to overcome was to decide what would succeed the venerable Crown Victoria as the MSP's vehicle of choice. After looking at the latest offerings in the marketplace, there were certainly more exciting cars available. But, for overall performance, economy, and the most bang for the taxpayer dollar, the Interceptors from Ford were selected. At right are renderings of the Ford Interceptor and Interceptor Utility in MSP trim. 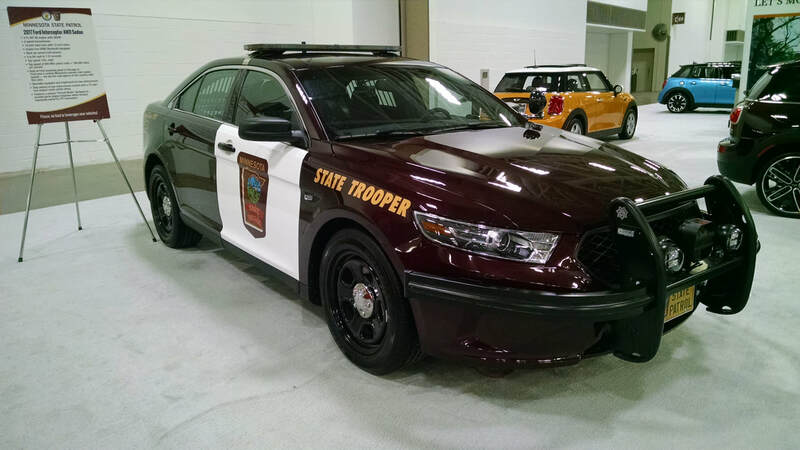 The Minnesota State Patrol initially purchased 100 Ford Interceptors; 25 of which were the standard all wheel drive version. Most, however, were the optional front wheel drive version, which resulted in a credit of about $1,000 per car. All were equipped with the standard 281 hp normally aspirated 3.5 liter V6. Ford Interceptor Utility vehicles were purchased for accident reconstruction and commercial vehicle enforcement duties. The Interceptor Utility is powered by a 3.7 liter V-6 and standard all wheel drive. Hiding in plain sight. 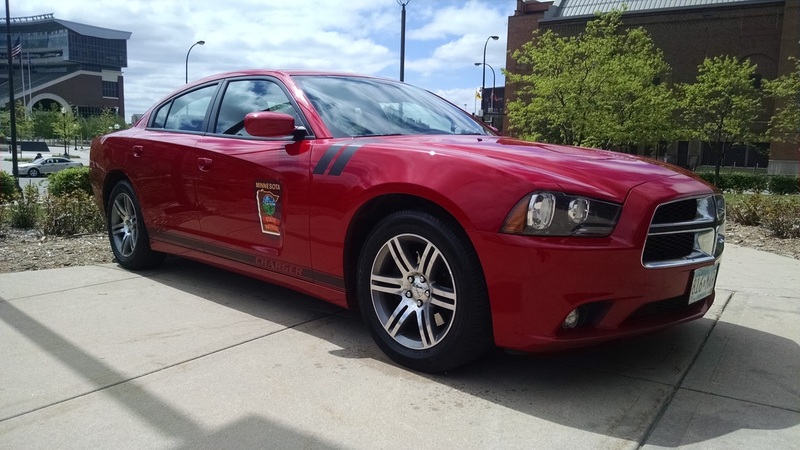 That's kind of the idea behind the specially marked Dodge Chargers in the MSP fleet. 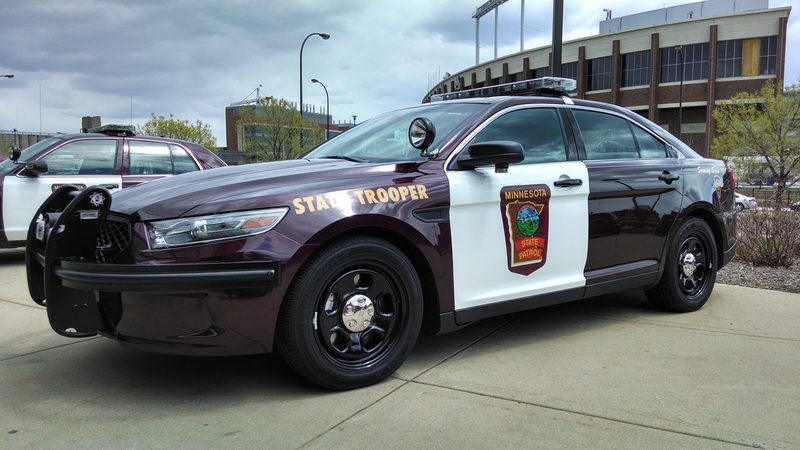 The cars are signed out a couple weeks at a time to any trooper that would like to use them and take care of them. They are very effective for detecting and apprehending aggressive drivers and other scofflaws. Yep, they are sneaky. But, if you're obeying the laws, what do you care? For 2014, all units were ordered with the standard all wheel drive and 288 hp 3.5 liter V-6. Differing little in appearance from 2014, the 2015 AWD Interceptor came standard with a 3.7 liter V-6 that pumps out 305 horsepower at 6,500 rpm and 279 ft-lbs torque at 4,000 rpm with an advertised top speed of 131 mph. The 2017 Ford Interceptor is equipped with a 3.7 liter normally aspirated V6 rated at 305 horsepower coupled to a 6-speed automatic transmission providing motive power to all four wheels. The majority of design elements and equipment are carryovers from 2016. The 2017 models are all equipped with Ford's SYNC system allowing hands-free operation of mobile phones. Also incorporated is a back-up assist system including a camera and warning sensors.